Painted steel doors, one dog door, with beveled cedar siding. 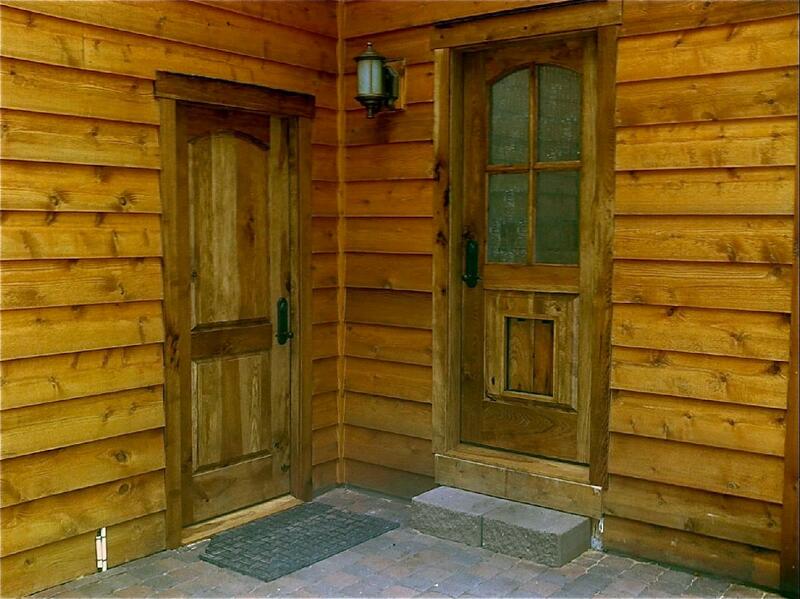 Rustic hickory doors and trim, one dog door, art glass, with the same beveled siding. 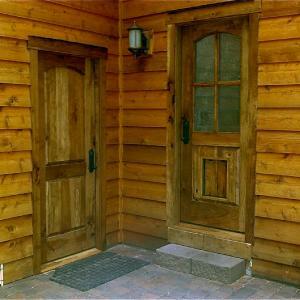 Rustic hickory replacement door and trim.